Ever imagined Sound Level Measuring using smartphones? Mobiles have evolved into computing machines with extraordinary capabilities. They have cameras, microphones, gyroscopes, proximity sensors, accelerometers, light sensors and GPS receivers. The advancement of these handheld devices has evolved into them being used as various instruments like torches, cameras and also sound measurement devices. Application developers have created sound measurement applications utilizing the built-in microphones of the device. Measuring sound pressure level (SPL) is vital, SPL is a logarithmic measure of the effective sound pressure of a sound relative to a reference value. In our daily activities we encounter a variety of sounds and noises like a buzz, hum and ring. But, every individual risks himself to harmful level of noises that can damage the sensitive structure of the ear. This phenomena of injury to the inner ear is called Noise-induced hearing loss (NIHL) which can be temporary or permanent. Let’s dive deep into details to get a better understanding of NIHL, inside our ear are small hair cells that transmit electrical signals to the brain. These sensitive hair cells can be easily damaged by exposure to extremely loud noises in the workplace, or/and at home. Common activities like lawn mowing, working with machine tools, attending rock concerts etc. can demolish these hair cells, resulting in NIHL and even ringing in ears (tinnitus). The solution to this is by measuring sound in your home and workplace. With the advent of smartphones and mobile applications, sound measurement is not that difficult anymore. 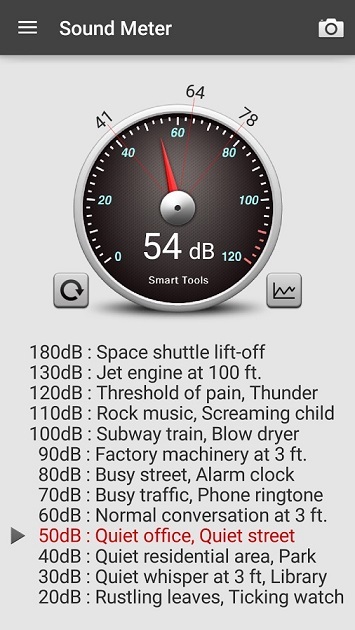 Decibel levels can be measured using some of the smartphone (android or iOS) applications that raise a red flag when the surrounding noise is high and harmful to the ears. Following are a list of some mobile apps that help in monitoring noise in mobile. An free app developed for iPhone users, dB volume meter (DBVM) offers an easy way to compute the noise levels surrounding you. The DBVM displays the approximate decibel level where you and your smart phone are situated. The app was created by Darren Gates and is a tool for detecting noises in causal settings such as music festivals, airports and so on. But, this app is not for people operating heavy machinery, or exposing themselves to over 90 dB of sound, they should rely on a professional SPL meter. This app is created for android users and is a simple tool that utilizes the microphone of your device to calculate the SPL. The app displays the maximum, minimum and current values of sounds surrounding you and converts the decibels into understandable graphs and level charts. The app was developed by Peter Tschudin and is available for free on the Google Playstore. All of these smartphone apps are great but how do they perform compared to the International standards of sound measuring instruments that are solely created to calculate a varying number of decibels accurately. One major drawback on the sound measuring apps of the smartphone is the microphone. The primary purpose of the mike in a smartphone is to record human voices. As most of us know that speech information can be conveyed within a bandwidth much smaller than the human auditory range, smartphone devices are only required to be responsive to this smaller bandwidth, whereas a measurement microphone is required to have a flat, wider frequency spectrum response. Most sounds are more than just a pure tone, they are a mix of several frequencies and to measure these, Octave band analyzers are used. They segment noise into component parts, the filters used in this instrument helps calculate accurate levels of noise. The Noise dosimeter is worn by the worker and can also measure sound levels. This instrument determines the personal noise during a work shift period. As you can see OSHA doesn’t mention anywhere in their document the use of smartphone devices as a potential tool to monitor noise levels in industries. 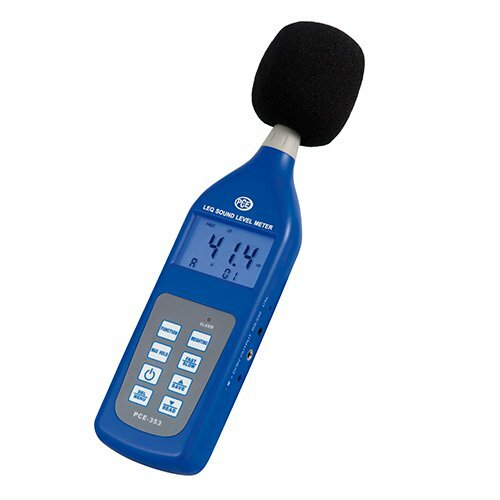 Though smartphone apps are good for a general measurement of decibels, a measurement microphone is the apt instrument to calculate work place noises among others. It gives exact and precise readings of decibels compared to the approximate measurement numbers provided by smartphones. 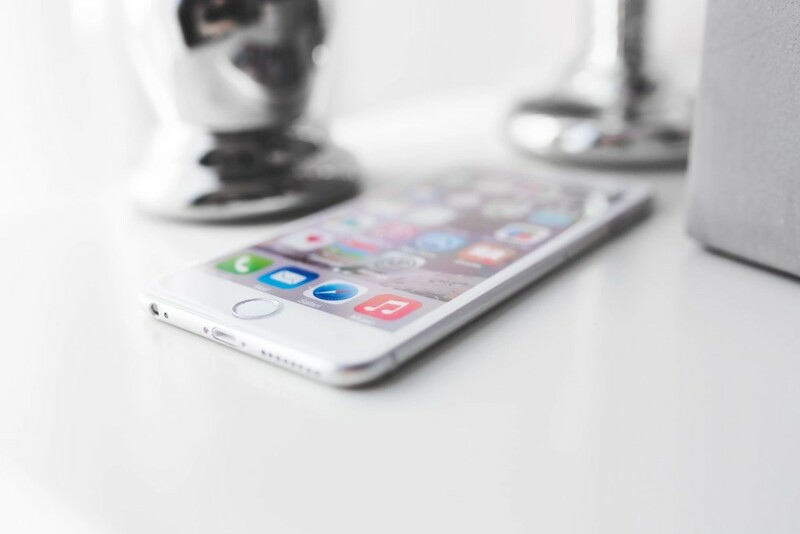 So if you are thinking about Sound Level Measuring using smartphones for assessment, then you will have to seriously consider above points before making the right decision. Do let us know your thoughts in comment section, we would like to hear about it. 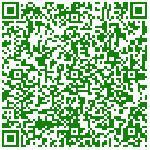 We are environmental consultant in mumbai offer environmental monitoring & consultancy services. Feel free to leave a comment in case of any questions. How to Reduce Noise Pollution?